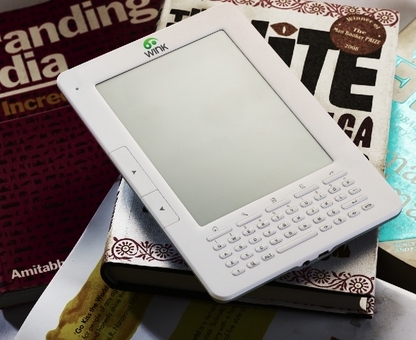 There was a story going around this past week about EC Media and their new Wink 5" ereader model. I passed on the story; I'd already reported about the 5" ereader back in July and there was no new detail. No one had pictures, so it wasn't worth a post. I got the following picture from MobRead, a Chinese ereader blog. It's quite obvious that the devices are the same, and this makes me feel a lot more confident about the Wink. 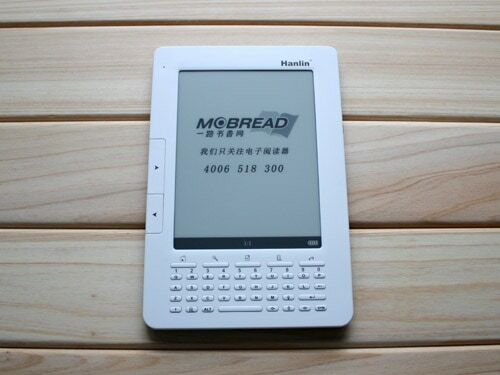 Hanlin have several years of ereader development experience and quite a few previous models. My estimate of the qaulity and reliability of the Wink went up (a lot).